Shop Update: Fancy a bit of Rhubarb? - Kettle Yarn Co.
Shop Update: Fancy a bit of Rhubarb? June has arrived and I have a new Beyul DK hue this week! Rhubarb is a rosy, madder-like pink/orange that goes so nicely with all the blushes, yellows, greens and neutrals in this summer. Here it is on the drying rack with Islington Squirrelly and Light Squirrelly, which are restocked this update and will be available in DK soon as well. 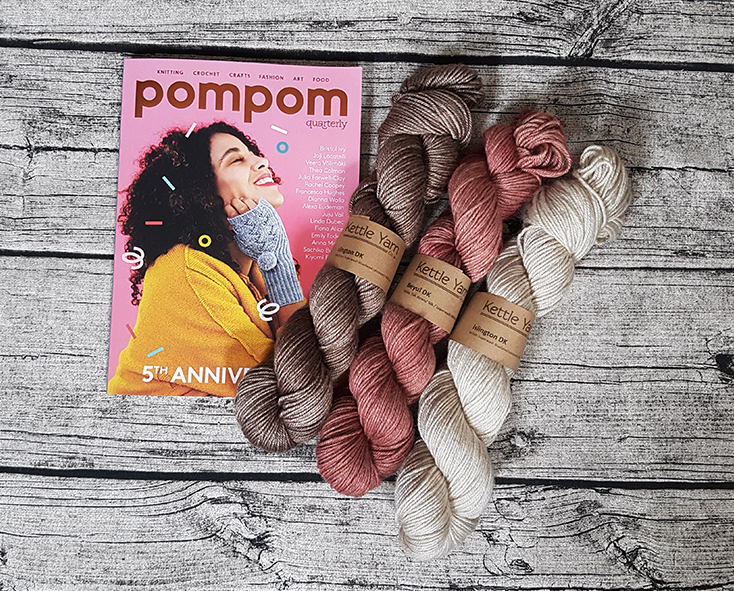 In the squishiest baby yak, silk and ethically farmed merino this rounded DK is perfect for cables, lace and the most luxurious simple stitches like stockinette and garter. After coveting this design for many years I’ve finally cast on a Siri by Linnéa Öhman in the hue and think it is going to be a jawdropper with Beyul’s stitch definition! 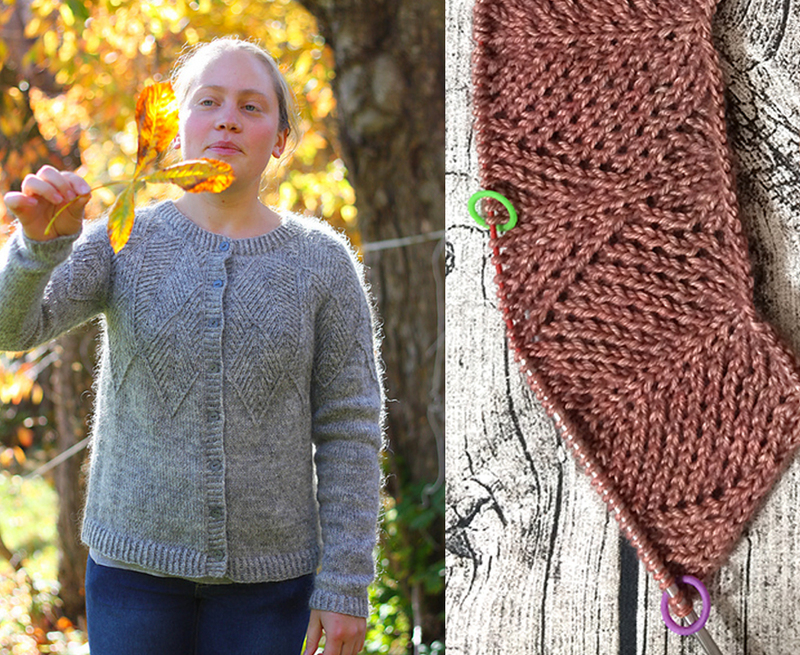 I’ve got two new fun brights in Twist Jumbo this week for Veera Välimäki’s Flyway Twist, two colour brioche shawl! The original Pylon orange, Icicle and a few skeins of Rubber Ducky yellow are available as well. Another new goody in this week is a new project bag for summer. Another Copperplate Collection bag, screenprinted by hand in East London, Pudding is a mid sized bag for small jumpers, shawls and socks. Featuring a mouthwatering array of Victorian style desserts in an old-school, line drawn style this beautiful bag will protect your projects in style. Catch me at Pomfest in London on July 14th and 15th and to see all these goodies in the real. All is now in shop for knitting fun! Make sure to get your tickets to Pomfest now before they sell out!